Dirt Rally Early Access - First Impressions — GamingWithSwag.com - Dads By Day, Gamers By Night. DiRT Rally comes 4 years after the last proper iteration of the popular Colin McRae series. The game is in early access on Steam but seems to be getting closer to full release so the game has a lot of polish and tuning already completed. 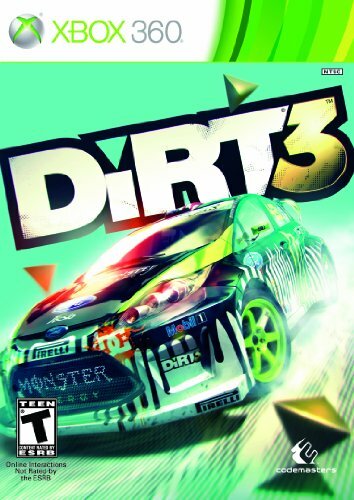 Rally racing is really tough and brutal but it has a lot of fans, just look at how DiRT 2 and DiRT 3 hold their value still selling for 40-50 bucks on PS3 and Xbox 360. Personally, I only really follow two racing game series. The first is Burnout for some cartoony crashing fun, but the second is DiRT which is wildly addictive and really forces you to master your vehicle and the course. This version is possibly the prettiest racing game of all time. I found I was actually crashing looking at the scenery on new courses, and had to tighten up my game. I love the shadows of the trees and the lighting challenges they can cause on wooded courses, and the perils of driving in poor weather conditions is real. I have begun my trek through the Career mode where I am racing 70's era vehicles until I can afford a fancier ride, but they have daily challenges for each era of vehicle and will usually have one where they will provide you with a car so you can play with the hottest toys on the road as well. When I am few dozen more hours into the game I will get up a complete review, but I have played enough to know this is likely worth your time if you love racing games.